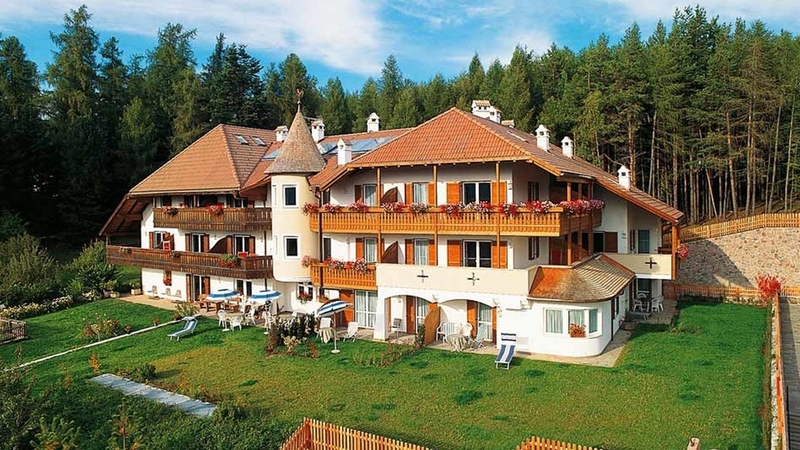 Comfortable apartments on Ritten with view to the Dolomites, large garden with sunbathing lawn and playground, bar and traditional stube with tiled stove. 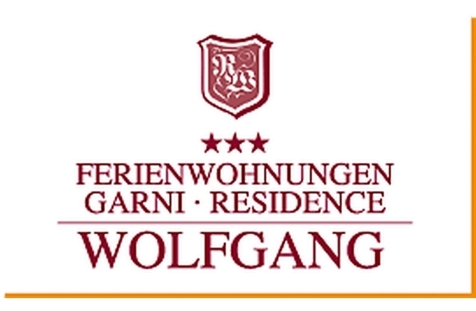 Welcome to Residence Garni Wolfang in Klobenstein/Ritten! Residence Garni Wolfang in Klobenstein ranks among the prime addresses on the sunny high plateau Ritten, where you enjoy a dreamlike panoramic view to the Dolomites. Our house is characterized by an individual and familiar charm, as well as by professional service and it is appreciated in particular by families with children. The whole year round the region Ritten invites you to go on holiday: to see the wonderful blossom in spring, to relax in the summer resort, to make autumnal hikes through the colorful forests or to go in for winter sports. We are offering spacious and tastefully furnished apartments with one or two rooms for 2 to 5 people, with high-class equipment and modern comforts: a kitchenette with tableware, double and bunk beds, phone, satellite TV, bathroom with shower or bathtub, balcony. A pleasant bar, a rustic living room with tiled stove, a nice breakfast room, a library and a big garden with lawn and playground are at your disposal as well. Residence Garni Wolfang in Klobenstein: an insiders' tip for guests, who are looking for relaxation and calmness, surrounded by pristine nature. Fam. Senn is looking forward to see you soon! Kitchenette in the living room completely equipped for 2 - 5 persons, one double bedroom, living room with a double sofa-bed (2 persons), wardrobe and safe, stylish bathroom (with hairdryer and soap dispenser) and balcony, direct dial phone, sat TV and centralized Vacuum cleaner. Kitchenette in the living room completely equipped for 2 – 4 persons, one double bed and two bunks (up to 2 persons), sofa and dining table, wardrobe, direct dial phone, sat TV, bathroom with hairdryer, soap dispenser, bathtub or shower and balcony. Kitchenette in the living room completely equipped for 2 – 4 persons, one double bed, sofa and dining table, wardrobe, direct dial phone, sat TV, bathroom with hairdryer, soap dispenser, bathtub or shower and balcony.